After 50 years of bilingualism in New Brunswick, only one in six anglophones can speak French, Cyrille Simard says. 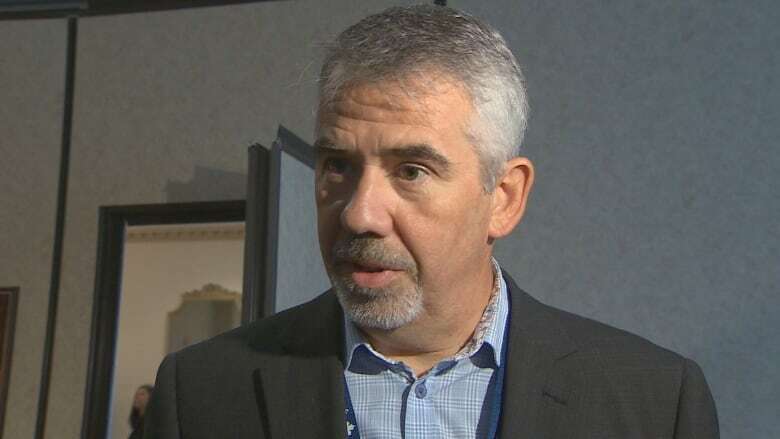 The mayor of Edmundston is calling on the province to make an action plan to improve bilingualism for 2019. After 50 years of bilingualism in New Brunswick, Cyrille Simard says only one out of six anglophones can speak French. He wants Premier Blaine Higgs and Education Minister Dominic Cardy to set up a strategic commission on education and bilingualism to improve those numbers. Simard is hoping this will make bilingualism something that comes more naturally to New Brunswickers. "This whole political turmoil around language comes once in a while and it's always very difficult to look at those issues with facts and data and to move forward in the right direction," Simard said in an interview with Information Morning Fredericton. Simard said being able to speak in both official languages is a strength for individual New Brunswickers and the province as a whole. "We must change the narrative somehow and focus more on the fact that it's an asset as a province collectively, but it's also an asset for individuals," he said. "My English is not perfect but I can live in New Brunswick, I can discuss with anglophones, I can make my living in French and English and I always felt that it gave me a better grasp of what New Brunswick is as a whole." Over the years, Simard said, he's heard from his anglophone friends in particular that the education system has failed to provide better conditions for them to learn French. Now he wants to know what kind of solution anglophones need to learn the language. "There's a general feeling that it could be a good idea at least to change the conversation somehow and get on the right track and see that bilingualism is a strength for this province," he said. Simard said respected citizens of New Brunswick would be chosen for the commission, where they would help try to solve the language issue. "First they start addressing what are the challenges and if there's some action plan that can be brought forward to address this issue." Then the group would consult with experts and engage with people about the issue and find solutions. And he's hoping the commission would perform in full public view so that in the future, this will allow the province to address issues surrounding bilingualism. On Twitter, Cardy said he and the premier have spoken about the importance of the education system, "not just in promoting bilingualism but giving people the chance to actually learn both languages." Cardy went on to say that he's looking forward to speaking with Simard about his idea. "The team at Education is talking about how we build a world-class education system, across the board," Cardy wrote. "Looking forward to talking w @cyrillesimard about his idea; building that world class system is a project that has to include all New Brunswickers." CBC News has asked for an interview with Higgs and Cardy. Simard said several other countries are multilingual and thriving and is asking why New Brunswick can't be part of that as well. "The unity of New Brunswick is something that is troubling right now because of the recent situation regarding language," he said.